It is commonplace in the world of personal growth and personal development to ask people what their passions are – what their goals are – who their mentors are – or what each individuals intended everlasting legacy is to be once they are no longer here amongst us in the tangible here and now. As coaches and mentors we ask this of our clients, and even question the same within ourselves. At the centre of all of these meaningful and profoundly significant inquiries is something deeper – values. What grabs and holds our focus, time, attention, and energies is secondary to what in fact fuels it. Every aspect of life has a place of origin. How can anything in life become an endeavour or a pursuit or a plight or a mission if not based on core thoughts or beliefs first subscribed to? The barometre for one knowing whether or not they are in true alignment with whatever it is which tends to most occupy and consume ones time is on the same continuum for what one holds as sacred. For example, a person may not necessarily enjoy the daily grind of their 9 to 5 job – however, their value system based on being a reliable provider to their family may be so deeply entrenched that they withstand what is required day in and day out year after year regardless of whether or not they feel intrinsically fulfilled. Alternatively, there are people who place much emphasis on the core value of personal autonomy, and to the degree they are voluntarily willing to exchange receiving a regular pay-cheque for what they deem to be their ultimate purpose in life. In either case scenario, there is no right or wrong. 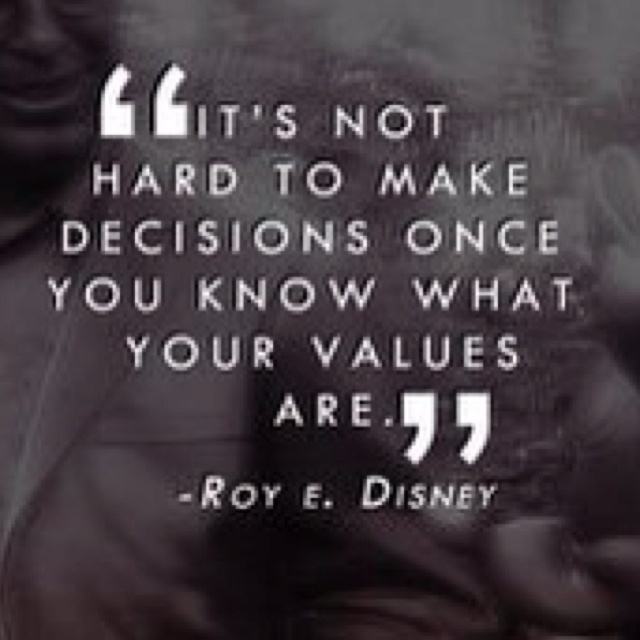 The decisions we elect to make are generally founded on our underlying values. Governing principles for what constitutes ones values being exactly what they are – is naturally going to be different from one person to the next, and for a whole myriad of reasons and factors. This is the beauty of what makes it possible for each of us to learn from one another, be inspired by each other, adopt and incorporate alternative perspectives, practices, and core values into our own lives – our own ways of thinking, being, and living. Our internal and external uniqueness is what infuses variety and flavour, and what serves to expand and deepen our own level of consciousness when peeling back the layers in further understanding all the yummy ways we are in fact connected and interconnected. To me, this is the spice of life. Absorbing the world with an open and receptive mindset and an observatory eye is instrumental for enriching my relationship to all other facets of what makes me – me! I love learning about what makes my brothers and sisters of the globe; tick! I love unearthing why people think what they think, believe what they believe, and do what they do. I find the complexities of the human condition and of our human connection to be simply fascinating! More still, is learning the backstory for what precipitated someones reinvention process – listening to the storyteller describe with vivid detail, what mindfully shifted for them as they endeavoured to question their own beliefs, thoughts, and values so as to reach that pinnacle of clarity and self-truth, which then catapulted them onto a completely different trajectory in their journey. I love the no-holds-barred approach to the forthcoming vulnerability and raw exposure for what people bravely stepped into and for what they then generously share with the rest of us. I love hearing and learning of what had to get turned upside down on its head for true life-altering transformation to authentically occur in ones life. The naked truth is such a reinvigorating breath of fresh air. I very much respect and appreciate when human beings pull back the curtains and expose who they are. I applaud these brave souls who provide a front row seat for anyone interested enough to share in the beauty of it all. I am enamoured by those who have chosen to reclaim themselves and who have taken back their own power. These are the warriors of whom I derive much of my inspiration and learning. These are the walking, talking, and breathing examples of what inspires me to always want to choose to operate at my highest vibrational level. This is the energy and synergy that gets my creative juices flowing and takes my wanting to always play a bigger game to the next level. For all the unsung Heroes, Sheroes, Warriors, and Leaders who choose to rise each and every day, I say thank you! I say thank you for uplifting me to fear less and to live more!